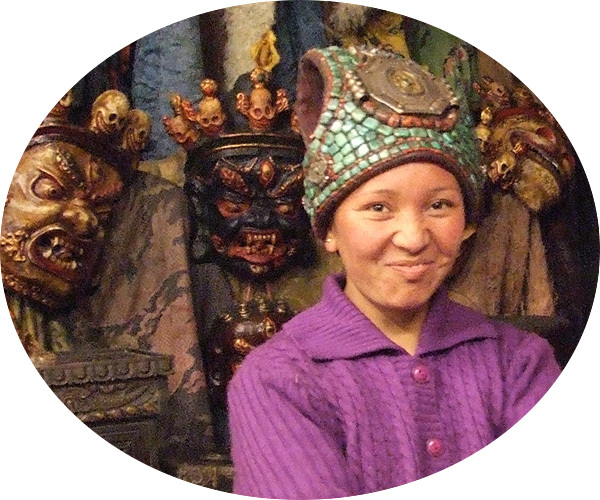 This rare and expensive headdress was acquired in the Himalayan region of Ladakh (India); apparently, it used to be a ceremonial headdress (crown) of one of the tribal princes. It is a piece of skin in the form of a three-rayed star, two rays sewn together at the back of the head, and the third ray, which is the longest, covers the head to hang down. 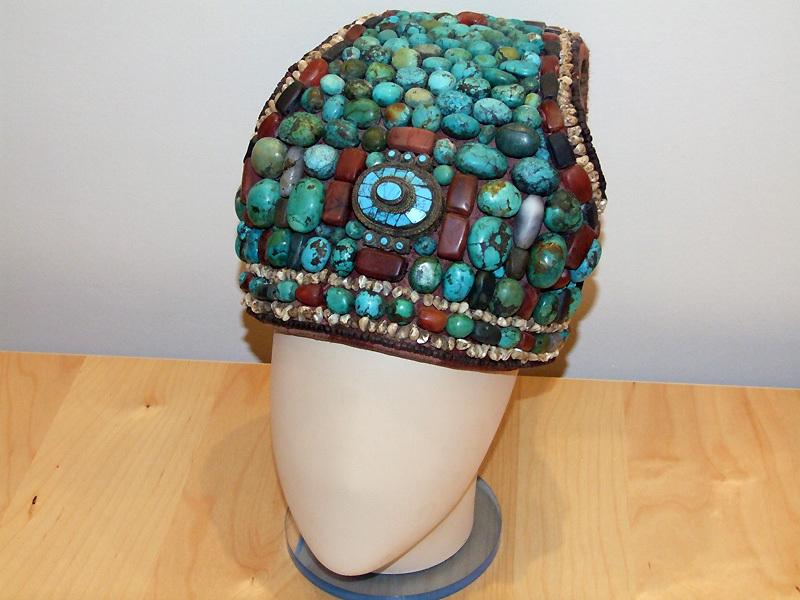 The headdress is embroidered with more than 70 large turquoise stones of and other semi-precious stones (agate? 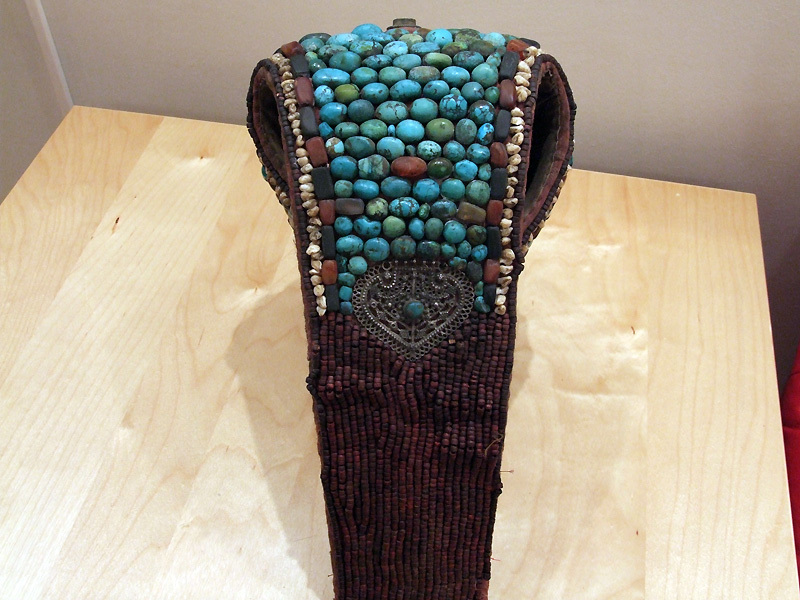 ), a silver buckle in the forehead with lapis lazuli. There is some more silver jewelry in the rear. The rear portion of the longest "ray” is embroidered with wooden beads. 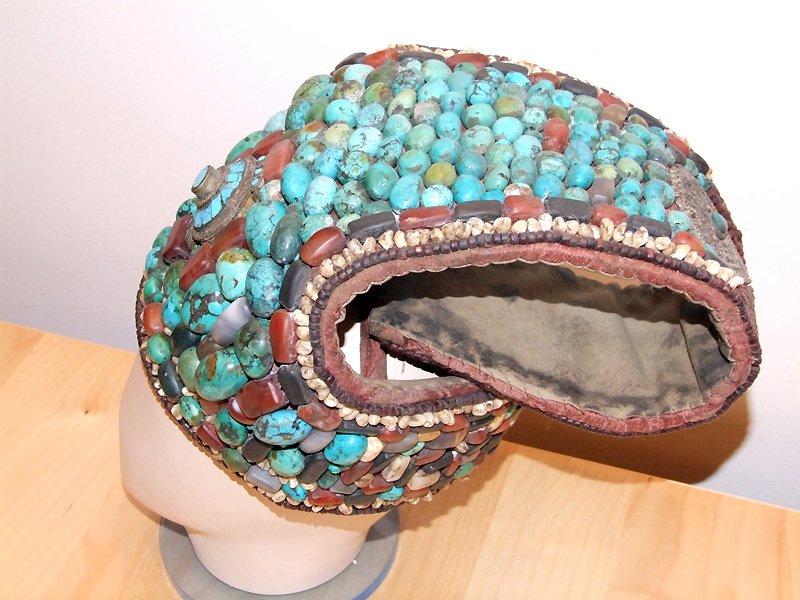 The weight of such a headdress is over 4 kg.